Hundreds of Niagara Falls students are getting busy this summer — and they’re having fun while they do it. The 900 or so students — more than ever before — are participating in the Niagara Falls School District’s Extended Learning Programs, created in response to research showing that over summer vacation, students lose too much of what they’ve learned during the school year. 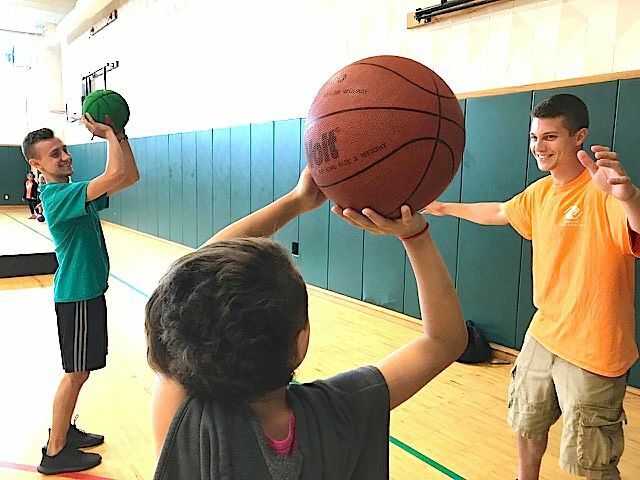 “Ultimately, through the learning and instruction which we’re providing, we aim to avoid ‘summer slide’ or ‘brain drain’ when children do not continue to participate in activities and lessons learned throughout the school year,” said Cathy Sullivan, a coordinator of the extended learning programs. Sessions are taking place at several elementary schools throughout the district and there is hope that the summer learning is making a difference in kids’ educational success. “It’s far and away the greatest number of summer offerings ever; our best effort to increase instructional time throughout the year,” said Judie Glaser, community relations director for the district. While the ELP programs are taking place in several of the elementary schools, more than 100 other students are participating in a week-long STEM camp starting Monday, focusing on science, technology, engineering and math and including robotics or coding. In addition, about 400 students registered for a summer sports camp at Niagara Falls High School. But, it is the Extended Learning Programs that are really growing, according to district staff. “The Extended Learning Program is a huge success, with average attendance of 575 students per day,” Glaser noted. “The full day program has been highly successful, far exceeding expectations,” she said. In the ELP program, students participate in academic activities in the morning, focusing on literacy and math instruction, for a total of 90 minutes spent on each. Staff members engage students in a computer program called MobyMax, which finds and fixes learning gaps by identifying strengths and weaknesses and allows teachers to be more effective reviewing and reinforcing subject matter. Ed Ventry, an administrator of the program at Niagara Street School and also a math teacher at Niagara Falls High School, has received very positive feedback from parents and guardians but noted that “there are many more students who could benefit.” A healthy snack is provided through a “Farm to School Grant,” which the district is piloting. The grant is aimed at benefiting both the students and local farms providing the produce. There is also a free lunch and afterward, kids participate in recreational activities for the remainder of the afternoon. Activities include indoor or outdoor sports, arts and crafts, theater or even sewing for those interested. Afternoon sessions are led by staff members of the Boys and Girls Club, who plan and provide all of the equipment. Diane Marshall, a staffer at the club who oversees the afternoon sessions, says she gets as much out of the program as the children do. “The students are exhibiting great teamwork and cooperation when working on the various projects we are involved in. This program is so beneficial — for them as well as for me,” Marshall said, adding that she enjoys going into the schools each day and seeing the children’s happy faces. According to Stan Wojton, a district teacher overseeing the extended learning sessions, 925 students have registered for the ELP. Angie R. Lucarini is a freelance writer from Niagara Falls whose daughter, Lana Rose, 11, was a participant in the district’s summer Extended Learning Program. - Niagra Gazette published the original article here.